Professionalism is a concept much-discussed of late in the world of aviation. 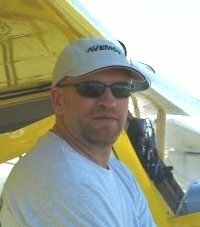 My news story and blog post, about the American Eagle pilot whose profile in Air Line Pilot magazine turned out to contain a number of fabrications, has ALPA, the union of airline pilots reeling. It’s not just pilots who show lapses of judgment. In February, an air traffic controller was suspended after allowing his children to issue clearances to commercial pilots flying in New York airspace. 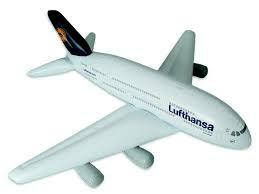 But focusing too much on such events can contribute to a distorted perception of aviation. The story of Doug White and the half-dozen air traffic controllers who last Easter helped White and his family through a harrowing event provides a counter-balance. 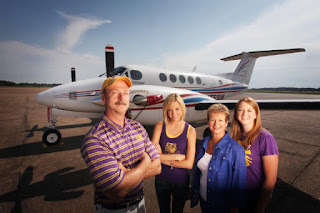 After attending the funeral of his brother in Marco Island, Florida, White, his wife and two daughters boarded a twin-engine King Air for the trip home to northeastern Louisiana on Easter Sunday 2009. Joe Cabuk a professional pilot was in the left seat at the controls. White sat on the right. And even though White was the owner of the airplane, he could not fly it. White had obtained his private pilot’s license in 1990 and promptly stopped flying. The King Air had been an investment and he often rented the plane to an air charter service. The flight home started uneventfully, until something made White turn to look at Cabuk. "His chin was on his chest," White told me in a phone call earlier this week. "He was retired military. He sat very erect, hand on each thigh. That’s the way he sat, that’s the way he flew and that’s the way he died." Less than 30 seconds later, White was on the radio to the controllers at Ft. Meyers. "I got to declare an emergency. My pilot's unconscious, I need help up here." In the ATC tape, there is a frantic edge in White’s voice. He needs help, he says. He needs to get level. He needs to “get this thing on the ground.” And as air traffic controllers struggled to deal with this unexpected challenge on an already busy day in the skies over south Florida, White stumbled on the idea that ultimately brought about his safe landing. Which is how, one thousand miles away in Danbury, Connecticut, Kari Sorenson got a phone call from his old friend Dan Favio, an air traffic controller at Ft. Myers airport. “Once we got past the initial, ‘Hey buddy,’ I thought, ‘Are you serious?’ Sorenson told me this week. Sorenson and I have met a few times at the Danbury Municipal airport where he spends a lot of time. He’s the friend of a friend. Our more tragic link is through the 1996 crash of TWA Flight 800 an event I documented in my book, Deadly Departure. Sorenson’s step-dad died in that accident and Sorenson’s father - who was also a pilot - died in an airplane crash in 1981. When the call came in from Favio, Sorenson was not optimistic. “This guy has a five percent change of living,” was Sorenson’s assessment. There’s no tension in this story anymore, since everyone knows how it turned out. But there is an timeless feel-good factor generated when people pull out the stops to avert a tragedy. Air traffic controllers Jessica Anaya and Nathan Henkels, in Miami and Carey Meadows and Brian Norton in Ft. Myers worked quickly to move airplanes out of the way. Controller and private pilot Lisa Grimm jumped on the radio in the first minutes to convince White with remarkable calmness to turn off the auto pilot and take control of the airplane which was climbing at 2,000 feet per minute. “I don’t really want to disconnect the auto pilot,” White said, explaining his initial reluctance to give up on the security the autopilot seemed to provide. But Grimm convinced him it was the only way to stop the airplane from continuing to climb and so he did. “Me and the good Lord are hand flyin’ this,” he said over the radio. There was only so much Grimm - who had only been a controller for four months – could do. She was unfamiliar with the King Air. It was up to Sorenson to instruct White on how to fly the airplane and to do so, the controllers had to devise a four-stop system like a child’s game of telephone. Questions from White on the airplane were relayed to controller Brian Norton in Ft. Myers who relayed them to Favio who was on his personal cell phone with Sorenson in Connecticut. Answers came back along the same circuitous path. 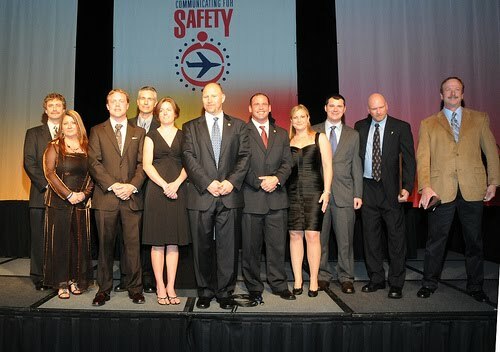 In a National Air Traffic Controllers Association awards ceremony last month, White was tearful as he presented plaques to the controllers who worked his flight. So emotional was the moment that White could not even read the inscription so Lisa Grimm took the microphone and choking back her own tears, read his lengthy essay of appreciation. But White also gives credit to the Divine, remembering that as he was out over the Gulf of Mexico controllers directed him to turn back to land but he was unable to make out the horizon so he resisted. Only after he began to comply did the horizon reappear. “I can see land and now I can see up and down and left and right,” he remembered. “I was not instrument-rated. I came under a cloud layer, with no wind. In Ft. Myers, that’s unheard of. Finally, White saw the runway, a blessed 12,000 feet long. But the drama wasn’t over yet. As the plane approached the runway, Sorenson had to give up, it was out of his hands. From where Favio was in the tower he could not see what happened. “Dan says, ‘Okay he’s down, I think he’s down, I’ll call you back,’” Sorenson recalled. The phone that had kept the experienced professional connected to the reluctant pilot then went dead. At the airport in Ft. Myers, they were celebrating; but with the phone broken, Favio didn't have Sorenson’s number. He couldn't call him back. Sorenson did not hear the details of what happened until the following day. It would appear that the people involved have taken White’s praise to heart. Certainly, Sorenson has. At the time he was guiding White to an uneventful landing, Sorenson himself was suspended from flying having lost his medical clearance due to depression from a difficult divorce. It has since been reinstated. About White, who says, “I’m the same person now I was before that happened.” I must confess, I find that statement a mystery. 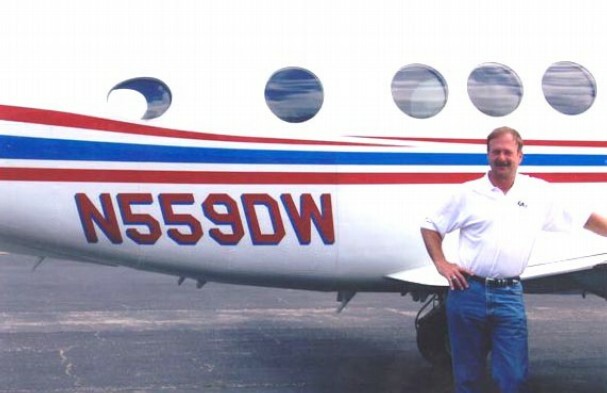 This past year White says he has gone on to earn an instrument rating, a commercial pilot’s license and a multi-engine commercial instrument rating. He spent 150 hours flying left seat in that same King Air all of which he accomplished in the year he almost didn't get to live. The entire 30 minute ATC radar and radio recordings can be viewed here. Modern day Bible story. An incredible story to hear told no matter how many times you hear it!Doug White and the good Lord and all those Air traffic controllers and Mr Sorenson made a great team. Heroes everyone! Well wroitten and timely article, Christine. It's important to recall the "atta-boys" amidst the "aw-s--ts."